Considering the remarkable shift that the digitalisation is nowadays bringing about in the building sector, the paper focuses on how the great amount of data collected around assets is changing the way buildings are operated, particularly for what concerns innovation on products, processes and technologies. 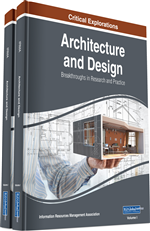 By establishing a connection between as-designed virtual models and as-delivered physical assets, the paper presents methods and tools based on information management and developed for assessing building behaviours in operation and for defining control strategies for satisfying user needs. The research aims to investigate how the building process could benefit from the availability of multi-faceted information collected in real time (e.g. through sensors) during the operational stages of buildings. Digitally-enabled practices and technologies have been developed and tested for improving a data-driven asset management, by enriching Building Information Models through data gathered through Building Management Systems, according to the Industry Foundation Classes schema. The digitalisation is nowadays bringing about a remarkable shift in the building sector, forcing its reorganisation from several perspectives. Iterative, integrated and organic processes are substituting traditional linear processes, enabling communication and collaboration among several stakeholders, and encouraging integration of actors with specific skills. This paradigm shift, also connected to the implementation of processes relying on information modelling and management, is firmly endorsed by several stakeholders. Such consideration is proven not only by the great efforts that led (or are leading) to the publication of directives, guidelines and standards (Table 1), but also by the strong research activities carried on through academic and non-academic initiatives (e.g., EU BIM Task Group and building SMART).